Marjory Stoneman Douglas High School in Parkland, Florida, faced a terrible situation on February 14, 2018. It was on of the deadliest school shooting in the modern history of the United States. The shooter was 19-year-old Nikolas Cruz, who was armed with an AR-15 semiautomatic rifle, gas mask, and smoke grenades. He killed 17 people, students and faculty, in total and injured another 17. He had been expelled from the school and was known to have guns at home. Cruz had made comments on social media about, “killing law enforcement officials” and he had several photos of his guns and ammunition. 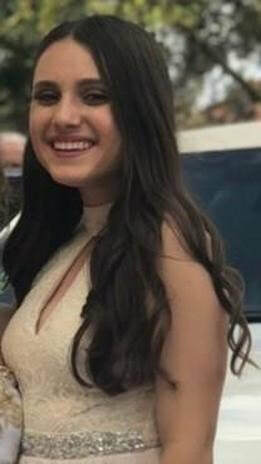 Among the 17 victims of the recent shooting in Parkland Florida, Pollack was an aspiring young woman, killed by a selfish gunman who cruelly opened fire at Marjory Stoneman Douglas High School on February 14th, 2018. 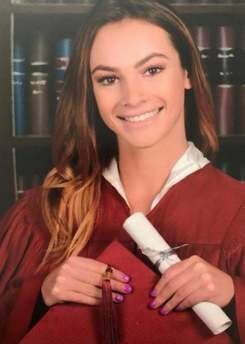 Pollack was a senior, she had planned to attend Lynn university in the fall, and most likely would have become a model citizen, no matter what major she would have chosen. But now she will never have the opportunity. 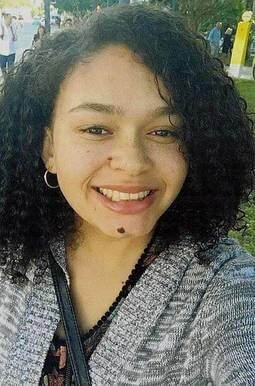 Helena Ramsay was a smart, quiet girl who loved to travel and read books. She also had plans to attend college, and would have been on her way next year. But unfortunately, her life was stolen from her at 17 before she could. She loved to make people laugh, and enjoyed going to concerts, seeing artists like Halsey and Twenty-one Pilots, and also loved K-pop. When Helena died, she was hiding behind a bookshelf with her friend when the shooter came in. She instructed her friend to pick-up some books to shield herself with. Her friend was protected, injured, but alive; Helena was killed. One of the youngest victims of the school shooting, at only fourteen years of age, Schachter lost his life before he could truly even begin enjoying the beauty of living. Though Schachter passing was an atrocious tragedy, his life was a very normal teenage existence. 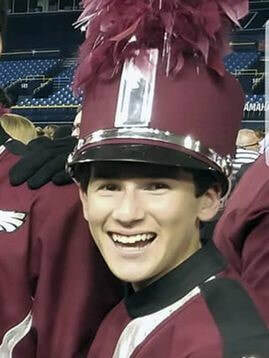 Schachter enjoyed playing the Trombone in his high school marching band, and even went on to win the state championship in 2017. He also often played basketball with his freshman friends. The freshman played her last soccer game was one day before the shooting on February 13th – “and what a game she played,” says PSC’s tribute. Her great contributions to the game ensured an outstanding victory against PSC’s “neighbors and rivals,” Coral Springs United. 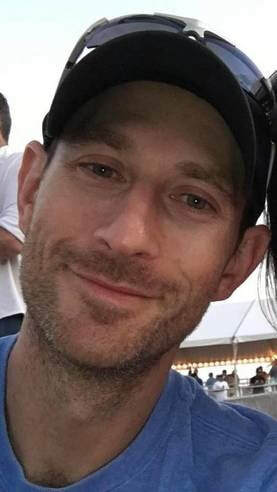 Beigel was a geography teacher and cross-country coach at Stoneman Douglas. He was also a former counselor at Camp Starlight, a summer camp in Pennsylvania. His friends and family members say that he lived his life in a strongly heroic manner; Beigel didn’t just die a hero, he lived as one too. He died after rushing students into his classroom, protecting them from gunfire. A GoFundMe was held for Martin to help cover various expenses his family would face as a result of his death. Its goal of $10,000 was outdone, reaching a remarkable total of $47,750 in 13 days. Nicholas was a gifted swimmer and captain of the Stoneman Douglas swimming team. He was recruited for the swim team University of Indianapolis. According to Nicholas’ family, his passion for swimming was so strong that even aspired to compete in the 2020 Olympics. Nicholas was admired by many, defined by his leadership skills and the open love he held for many aspects of his life. There is a GoFundMe to help with funeral expenses which has not yet reached its goal – it is short by about $5,000. 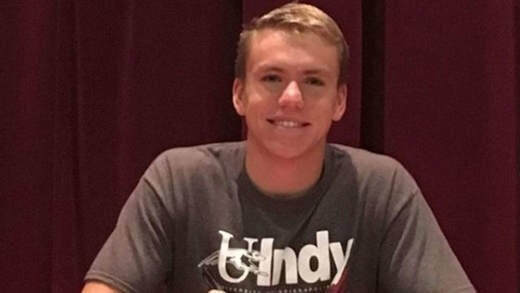 However, Nicholas’ family is asking that people donate to the Swim for Nick foundation by the TS Aquatics, a year-round swimming organization in southern Florida. Marjory Stoneman Douglas High School in Parkland, Florida met a terrible fate when a former student opened fire on February 14th, 2018. 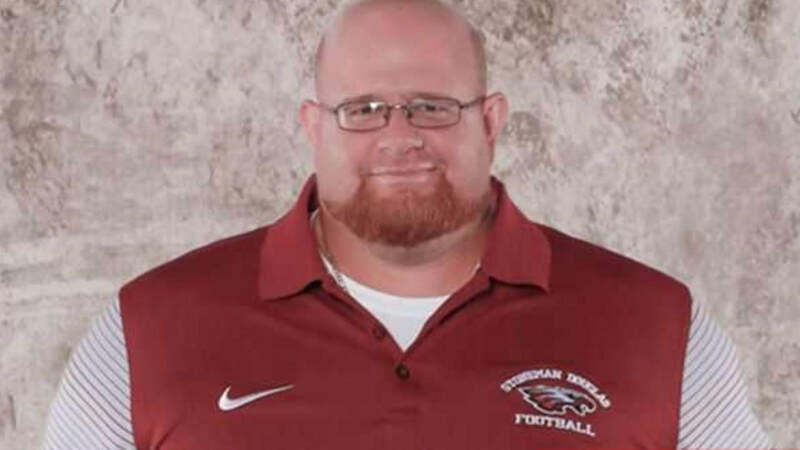 Aaron Feis was the Assistant Coach for the football team, and the security guard. He was married to Melissa Feis and had a daughter, Arielle Feis. Jaime had her life stolen from her on February 14th. She was a dancer and loved by her parents and brother. She was one of the first victims identified after the shooting and her Facebook is now a memorial site. 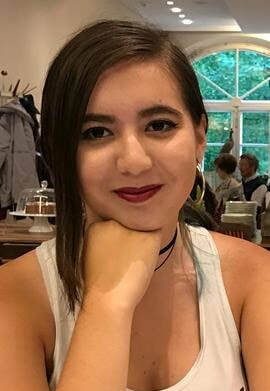 Her dance team wore orange ribbons in remembrance during their competition and her family is advocating for stricter gun laws to protect this from happening to other children and families. Jaime's grandparents stated that, "She was a pretty girl with the world’s best smile and her soul was sensitive and compassionate". Wang was wearing his JROTC uniform when the shooting happened on Wednesday. His last heroic act was opening a door for students to hide during the shooting. This act comes as no surprise to Wang’s family; they say that he was always a caring person. “He is so brave. He is the person who is genuinely kind to everyone. He doesn’t care about popularity. He always liked to cheer people up. He is like the big brother everyone wished they had,” says a family member of Wang’s who flew from Louisiana. Wang’s family was sent many gifts from strangers after his death, like military patches and coins. Additionally, the U.S. Army awarded him a Medal of Heroism. One of Wang’s ultimate goals was to attend West Point military academy, which he was posthumously accepted to. And on top of all that, veterans from across Florida attended his funeral. Loughran died around a week before her 15th birthday, which would have been on February 21st. She studied Irish dancing in Coral Springs’ Drake School of Irish Dance in South Florida, where Alex Collins, member of the NFL team the Baltimore Ravens, also studied dance. The dance school started a GoFundMe for her family that has currently raised $21,000. Its goal was only $1,000. People gathered together to attend a visitation for Loughran at Kraeer Funeral Home on February 22nd. Many wore turquoise or purple ribbons and clothes – Loughran’s favorite colors. 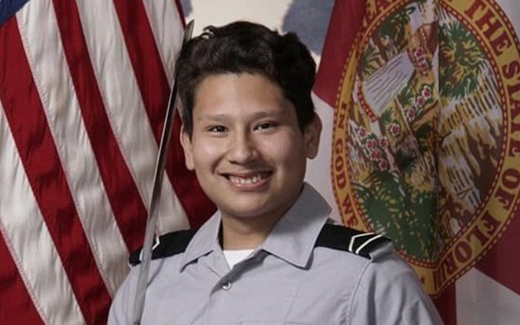 Montalto was a member of Stoneman Douglas’s Color Guard, an illustrator, and a devoted student. 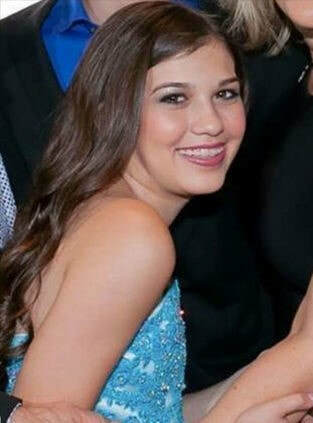 One of her closest friends growing up, Aidan Minoff, says that she was a go-with-the-flow person, athletic, and always open to experience new things in life; “She was probably the nicest person you'd ever meet,” he says. Montalto’s parents say that she illustrated for a local magazine and loved to read. She especially enjoyed big series like Harry Potter and The Hunger Games. However, none of these hobbies topped her passion for the school’s Color Guard. The Color Guard performed as a part of the Douglas marching band. The team was scheduled to preform for a local event in Tampa, Florida. Nick-named “Guac,” Oliver was an athletic student who loved soccer, football, and basketball. Born in Venezuela, he moved to the U.S. at the age of three, but never lost touch with his cultural roots. He loves the Venezuelan soccer team and has attended protests against President Nicolás Maduro, a very controversial figure in Venezuela. Petty was incredibly dedicated to making her community a better place. According to a family statement, Petty absolutely loved to serve. She served through the JROTC program, countless volunteering hours for the Helping Hands program of The Church of Jesus Christ of Latter-day Saints, and she even rushed to help some of the most damaged areas as a result of Hurricane Irma. 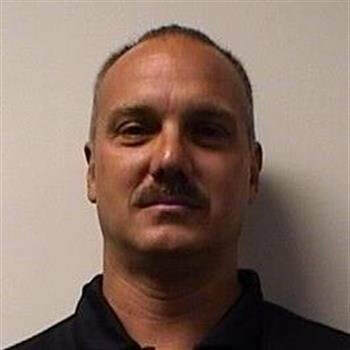 Christopher Hixon was the school’s athletic director and wrestling coach. He had made a great impact on the stufents he worked with the many of them had kind words to sat about him and how he encouraged them. Hixon was the athletic director for South Broward and was deployed to Iraq in 2007. According to Ray Corniel, “He was known by all the athletic directors and coaches from every team. He would bring us food for all our tournaments and take care of us like we were his own children and just watch over us, let us learn about life lessons”. He was beloved by all his students, by the athletic directors of other teams and schools, and by his surviving wife and four children. Luke was loved by his family, Gena and Tom Hoyer and his older sister and brother. He loved to laugh, make jokes, play basketball, and eat chicken nuggets. Carmen was a National Merit finalist, but unfortunately, never got the chance to know she made it. Her classmates thought highly of her and commented on her kindness and intelligence. Her funeral was held the day before her 17th birthday. She had planned to go to the University of Florida after high school, a plan that will never be extracted now. Her funeral, along with the death of the other victims inspired students to head to Tallahassee to plead their case about stricter gun control, to try to change the likelihood of anything like this happening again.